Holden Barina Hatchback (Sb) 1.4 i (60 kW). If you expect more damping power from your shock absorber - even under loads - but don't want to opt for an all-out sports model, the Bilstein B6 is the ideal solution. Holden Astra Estate (Ah) 1.8 i (92 kW). If you expect more damping power from your shock absorber - even under loads - but don't want to opt for an all-out sports model, the Bilstein B6 is the ideal solution. Holden Captiva 7 (Cg7) 3.0 i AWD (167 kW). If you expect more damping power from your shock absorber - even under loads - but don't want to opt for an all-out sports model, the Bilstein B6 is the ideal solution. Holden Captiva (Cg) 3.2 i AWD (167 kW). 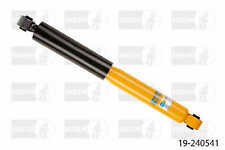 Bilstein B4 Shock Absorbers - the original mono-tube gas pressurised shock absorbers. Suits Models with a Power Level of 167 kW. The benefits of Bilstein B4 at a glance. Suits Models with a Power Level of 103kW. Holden Captiva (Cg) 2.4 i AWD (103 kW). If you expect more damping power from your shock absorber - even under loads - but don't want to opt for an all-out sports model, the Bilstein B6 is the ideal solution. Holden Astra Twintop (Ah) 2.2 i (110 kW). If you expect more damping power from your shock absorber - even under loads - but don't want to opt for an all-out sports model, the Bilstein B6 is the ideal solution. Suits Models with a Power Level of 110kW. Holden Captiva (Cg) 2.0 TD AWD (110 kW). If you expect more damping power from your shock absorber - even under loads - but don't want to opt for an all-out sports model, the Bilstein B6 is the ideal solution. Holden Astra Hatchback (Ts) 1.8 i (85 kW). If you expect more damping power from your shock absorber - even under loads - but don't want to opt for an all-out sports model, the Bilstein B6 is the ideal solution. Holden Astra Hatchback (Ts) 2.2 i (108 kW). If you expect more damping power from your shock absorber - even under loads - but don't want to opt for an all-out sports model, the Bilstein B6 is the ideal solution. Coilover Suspensión Struts Shock for Holden Statesman WH / VY VT VZ VX Commodore. para Holden VY/ VT /VZ/ VX Adjustable coilover details. para Holden commodore VT VX VY VZ to suit Sedan Wagon. Y el fabricante no arreglará la recogida del producto. Suits Models with a Power Level of 66kW. Holden Barina Hatchback (Xc) 1.4 Efi (66 kW). If you expect more damping power from your shock absorber - even under loads - but don't want to opt for an all-out sports model, the Bilstein B6 is the ideal solution. Suits Models with a Power Level of 66kW. Holden Barina Hatchback (Xc) 1.4 Sfi (66 kW). If you expect more damping power from your shock absorber - even under loads - but don't want to opt for an all-out sports model, the Bilstein B6 is the ideal solution. Suits Models with a Power Level of 92kW. Holden Barina Hatchback (Xc) 1.8 SRi (92 kW). If you expect more damping power from your shock absorber - even under loads - but don't want to opt for an all-out sports model, the Bilstein B6 is the ideal solution. Suits Models with a Power Level of 104kW. Holden Cruze Hatchback (Jh) 1.8 i (104 kW). If you expect more damping power from your shock absorber - even under loads - but don't want to opt for an all-out sports model, the Bilstein B6 is the ideal solution. Holden Astra (Ah) 1.9 CDTI (110 kW). 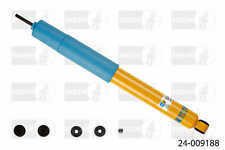 Bilstein B4 Shock Absorbers - the original mono-tube gas pressurised shock absorbers. The benefits of Bilstein B4 at a glance Suits Models with a Power Level of 110 kW. Holden Barina Hatchback (Sb) 1.6 i (78 kW). If you expect more damping power from your shock absorber - even under loads - but don't want to opt for an all-out sports model, the Bilstein B6 is the ideal solution. Holden Barina Hatchback (Sb) 1.4 i (44 kW). If you expect more damping power from your shock absorber - even under loads - but don't want to opt for an all-out sports model, the Bilstein B6 is the ideal solution. Suits Models with a Power Level of 135kW. Holden Captiva 7 (Cg7) 2.2 TD (135 kW). If you expect more damping power from your shock absorber - even under loads - but don't want to opt for an all-out sports model, the Bilstein B6 is the ideal solution. Holden Captiva 7 (Cg7) 2.2 TD (135 kW). If you expect more damping power from your shock absorber - even under loads - but don't want to opt for an all-out sports model, the Bilstein B6 is the ideal solution. Suits Models with a Power Level of 169kW. Holden Captiva (Cg) 3.2 i AWD (169 kW). If you expect more damping power from your shock absorber - even under loads - but don't want to opt for an all-out sports model, the Bilstein B6 is the ideal solution. Suits Models with a Power Level of 167kW. Holden Captiva (Cg) 3.2 i AWD (167 kW). If you expect more damping power from your shock absorber - even under loads - but don't want to opt for an all-out sports model, the Bilstein B6 is the ideal solution. Holden Captiva (Cg) 3.2 i AWD (167 kW). If you expect more damping power from your shock absorber - even under loads - but don't want to opt for an all-out sports model, the Bilstein B6 is the ideal solution.